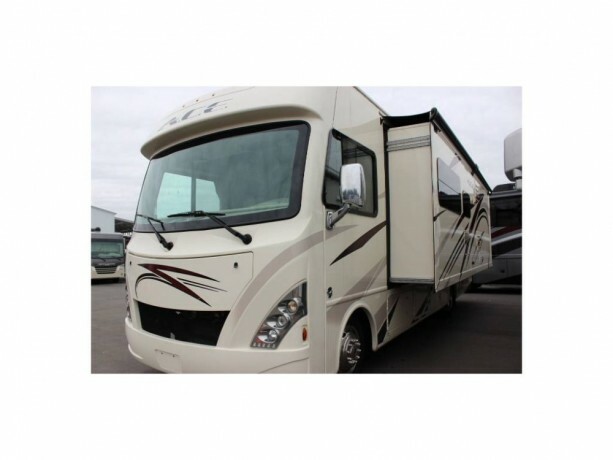 Step into this Thor Motor Coach A.C.E. 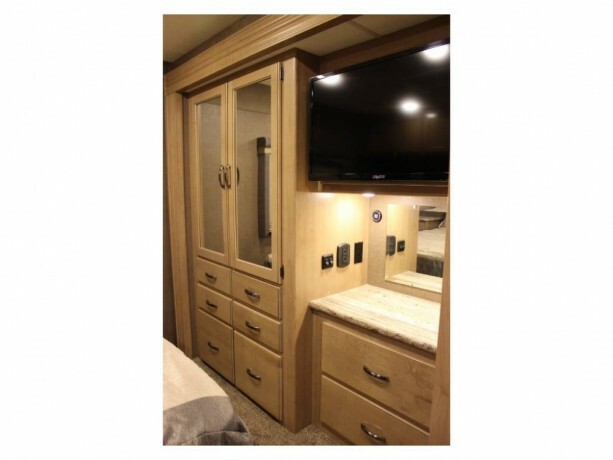 29.3 class A gas coach to find a full roadside slide out creating an open at home feel.The large roadside slide includes a jack knife sofa with drink holders behind it as well as overhead cabinets. It can easily be transformed into sleeping for one extra guest. The slide out continues with a kitchen sink, overhead cabinets, a three burner range with overhead microwave, and a refrigerator. There is also a food pantry for your dry and canned goods.Moving into the bedroom area, still within the full wall slide out, there is a dresser and closet with a 32" LED TV. 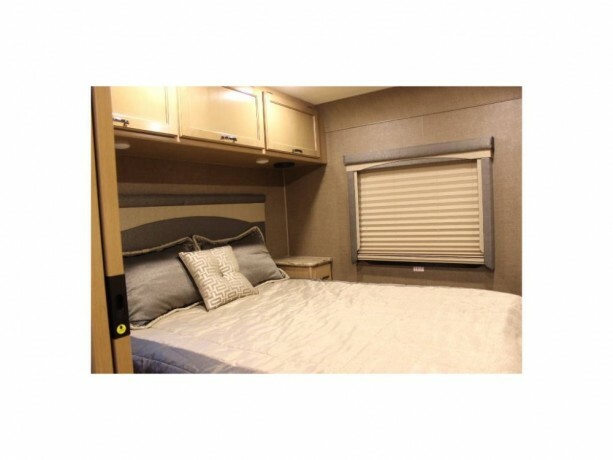 The bedroom also includes a queen bed with nightstands on each side plus overhead cabinets.The full bath provides a shower, a large vanity with sink, overhead storage and a toilet.A spacious booth dinette has a 40" LED TV mounted above it, facing the front of the motorhome for easy viewing from all seats, including the captain's chairs.At the front, there is a drop down overhead bunk for extra sleeping space. 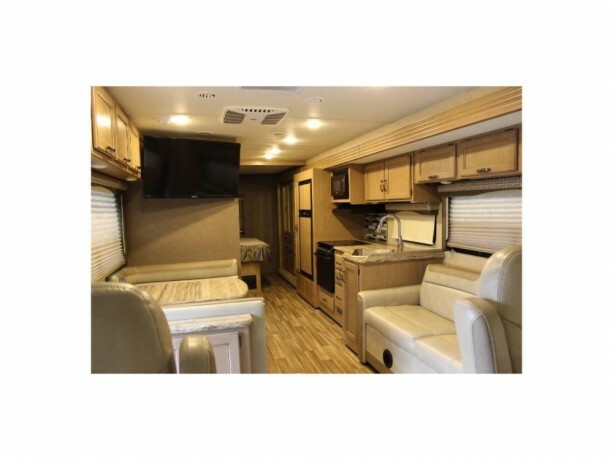 Also in the front cab area you will find a coffee table where you can sit and enjoy your morning coffee.Outside, enjoy the full awning as well as the 32" LED TV, plus so much more! 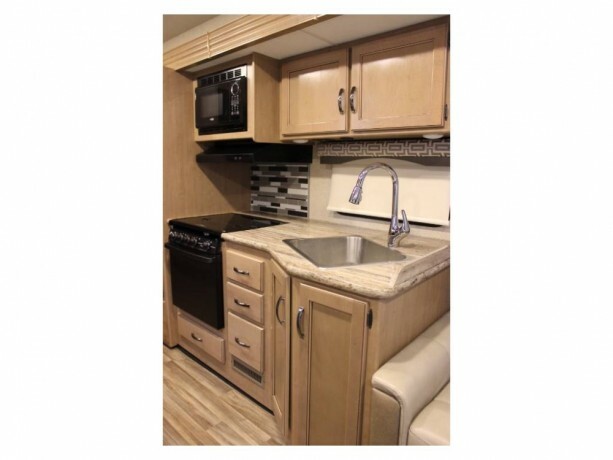 Comes with interior and exterior fabric and paint protectant finish, Tyron tire protection, Satellite TV, 50 Amp service, dual A/C, and extra storage instead of the outdoor kitchen that is perfect for folding chairs and outdoor carpets. 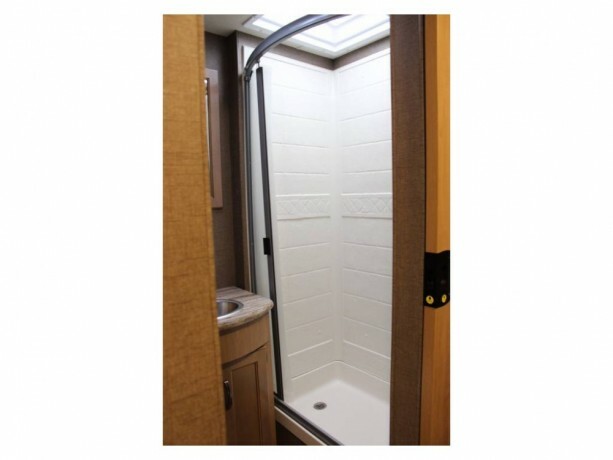 The unit has been stored inside since purchase, so is immaculate. Arctic Frost Interior, Oyster/Vineyard exterior, and Malibu Maple wood throughout.